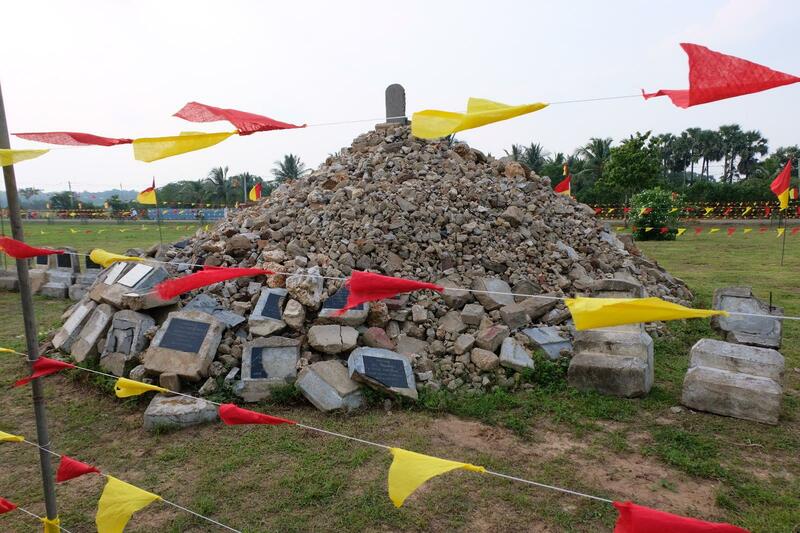 Final preparations at Kanagapuram Thuyilum Illam, the major LTTE cemetery in Kilinochchi, have been completed in advance of Maaveerar Naal. 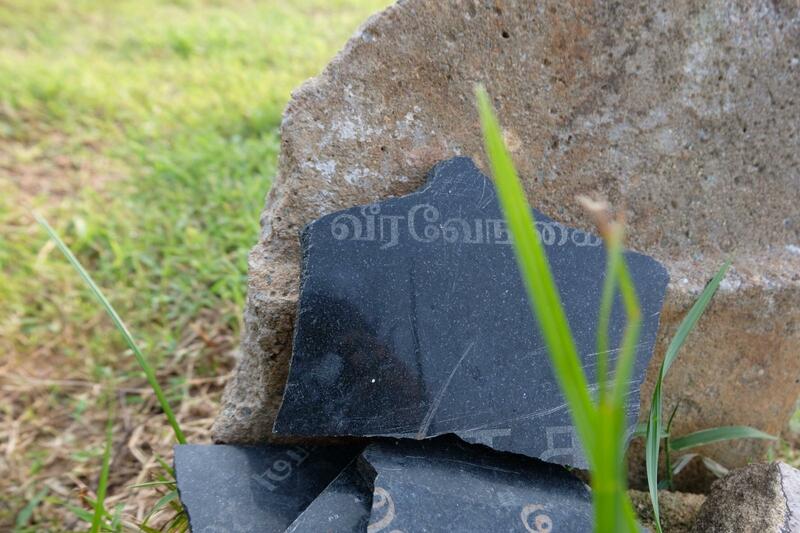 The Kanagapuram Thuyilum Illam has held particular significance as a symbol of mobilisation and resistance around Tamil memorialisation efforts, becoming the first place since the end of the war where Maaveerar Naal was commemorated publicly on a large scale two years ago. 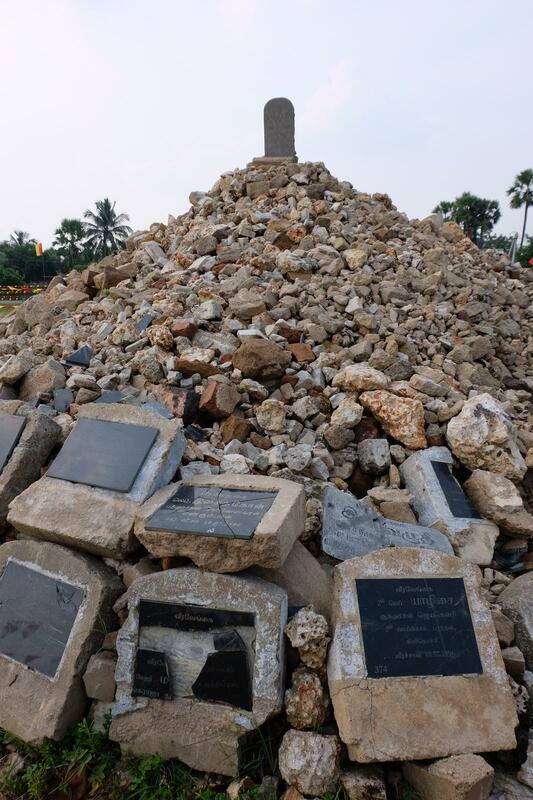 Local efforts to recover what remained of Maaveerar graves and headstones and transform the gathered pieces into a new centrepiece mound have inspired similar efforts in the destroyed thuyilum illams around the North-East. 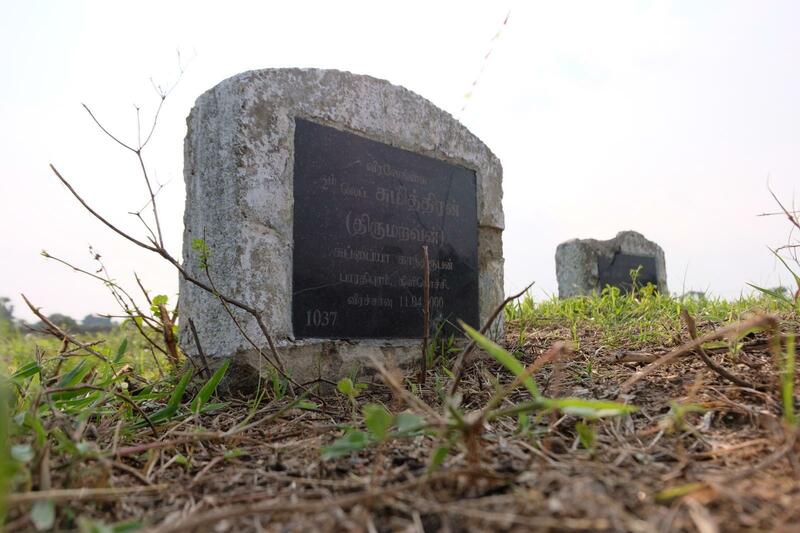 While most cemeteries held the graves of thousands of fallen fighters, the Sri Lankan military forces' complete obliteration of the resting places has meant that no more than a dozen intact headstones have been recovered at most thuyilum illams. 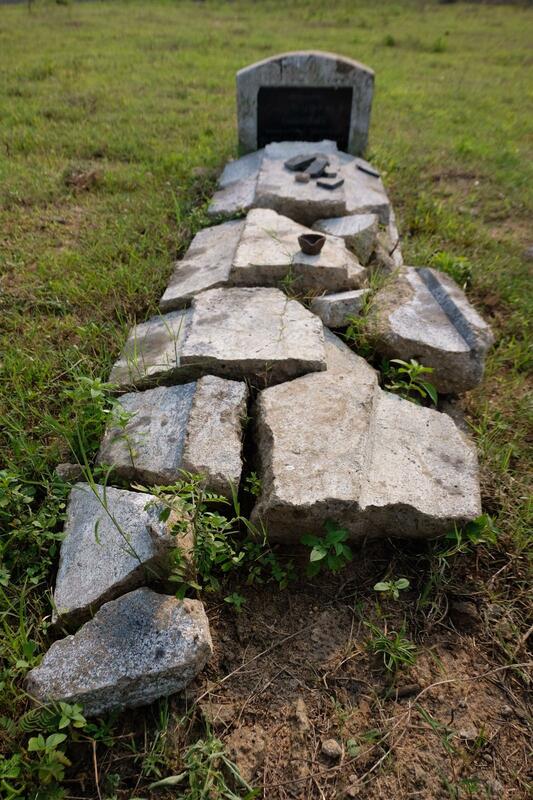 Kanagapuram remains unique in that a slightly higher number of stones have been recovered. 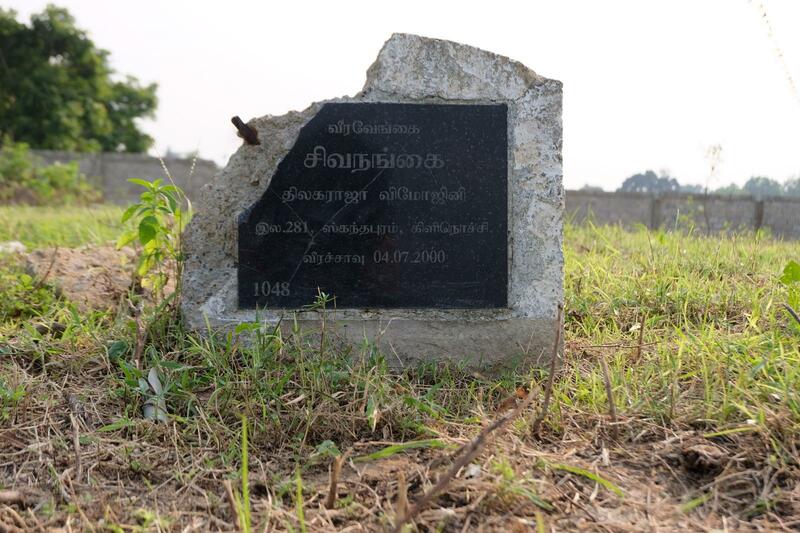 Sri Lankan security forces have built camps or other facilities over several thuyilum illams, and so these cemeteries remain inaccessible to the public, and the families of fallen fighters blocked off from the graves of their loved ones.